The Berbers are a people indigenous to North Africa west of the Nile Valley. The Berber’s rich cultural history dates back to prehistoric times. They are known for establishing trading routes between the West African and the Sub-Saharan region where they transported goods from beyond the Sahara desert to the Northern Moroccan cities. Today, it is still possible to find many traditional Berber settlements in the mountains of Morocco. 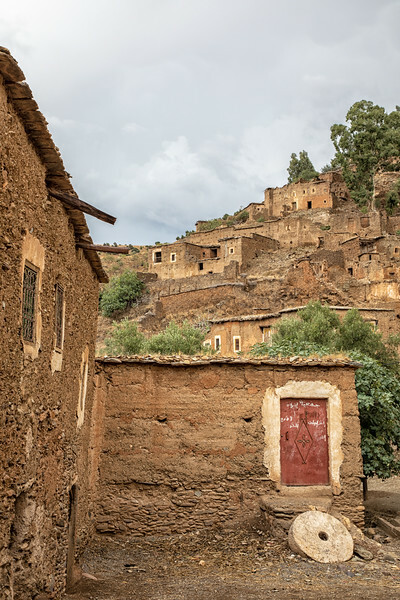 We were excited to get a chance to hike to some of these villages and get a glimpse of the Berber life style. The village where we stopped for a delicious traditional meal has only had electricity for the past two years. We found the people there, and especially the children, to be very warm and inviting.